My mum just called me and commented that I’m out of my mind, driving all the way to Batu Pahat for this. 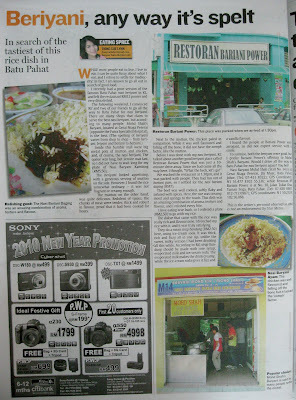 For those of you who are not as “si fatt hun” (itchy backside) like me, here are some decent nasi beriyani places in KL. Click here and here. Yr mum havent met me yet! Cumi & Ciki – TQTQ! J – Not romantic…cos we had two friends go with us. The more the merrier!